Thank you for all your support with Boosterthon. The students did a great job raising funds. Our goal was to profit $15,000 this year. We will have a total profit to announce as soon as all the funds are collected. The next PTO meeting is Thursday, September 13 @ 9:30 a.m. We would love to have you join us! For those who need an evening meeting, we will hold one in the fall and one in the spring. October 11 is the fall date and it will start at 6:30 p.m. in the cafeteria. Mark your calendars and join us that evening! Spring Creek BBQ Night is Tuesday, September 18. 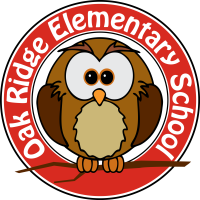 Oak Ridge families are invited to bring your families and eat out at Spring Creek BBQ this evening. Part of the proceeds will go to PTO. Each year our donation back from Spring Creek is well over $1000. We would love to surpass that this year!